Larger Project 1-6, Living Room » Roger Perron Inc. Here is the living room in a close-up view. 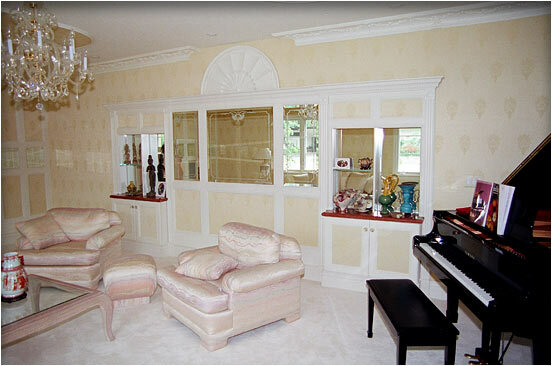 The mirrors are beveled with decorative moldings. The ceiling dropped details are typical throughout the remodel.